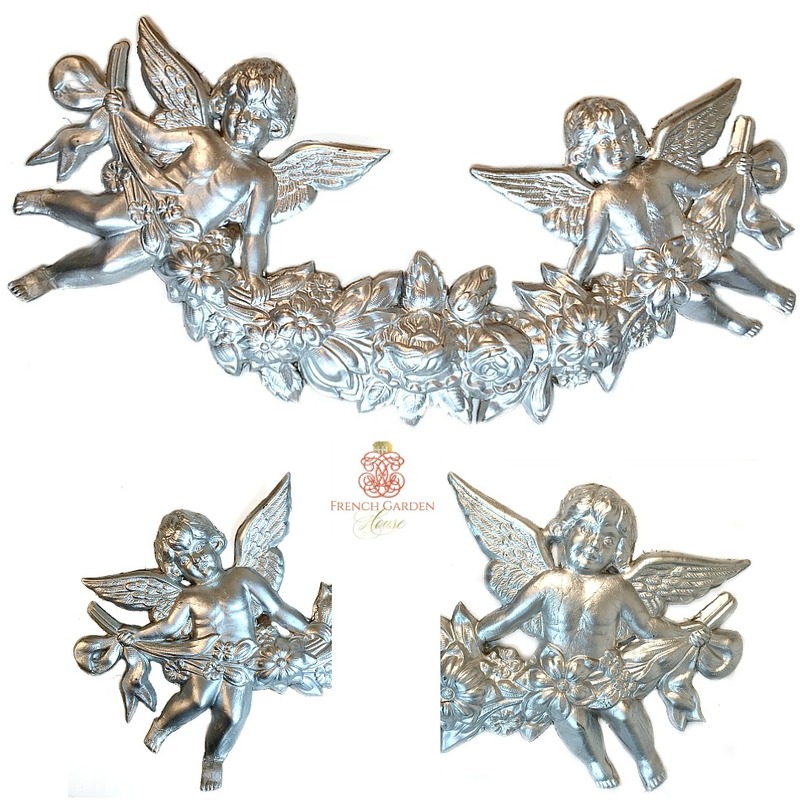 Large Silver Pressed Paper Dresden Embossed Paper Cherub Garland, so rare to find. Two sweet Cherubs or Cupids hold the lush floral garland, the garland has roses a well as forget-me-not and daisy flowers. All original, with the wings intact, one foot on a cherub is bent a little. This is a beautiful and very collectable piece to add to your holiday decorations, or to your collection of antique ephemera. Measures 13-1/2" x 6".